The hidden ninja village, Konoha, is now under the rule of the Seventh Hokage, Naruto Uzumaki. In a world of peace and high economic growth, what kind of new paths will Naruto's children and the next generation ninjas open up to? Starting now, their story unravels here! Let the new legend begin!! 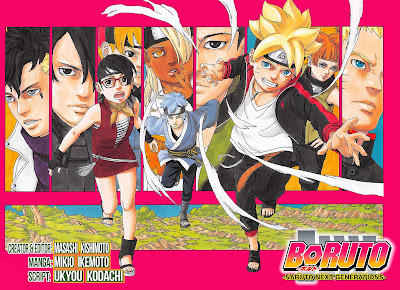 Boruto started in issue 23 of WSJ and tells the adventures of Naruto's sons Boruto. 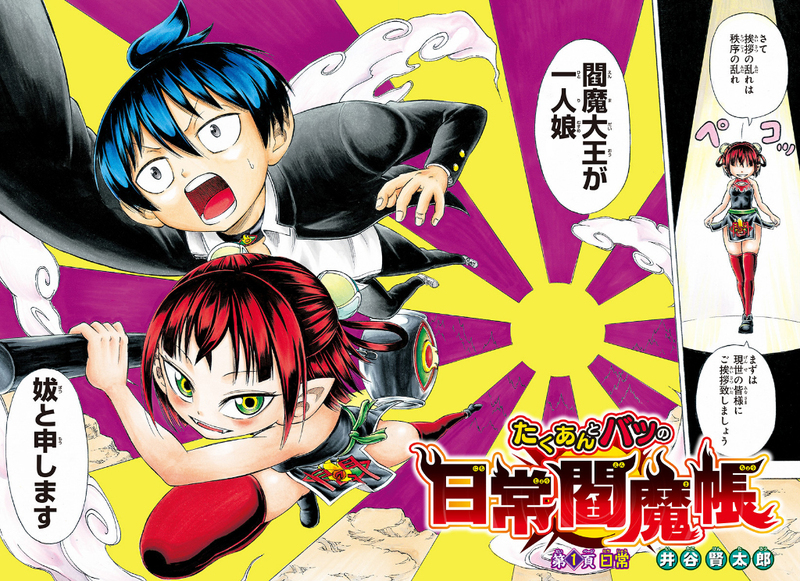 This monthly series is written by Ukyo Kodachi and artwork by Mikio Ikemoto. The pair are supervised by the original creator Masashi Kishimoto. As this is a monthly series, it offers the team time to create fantastic chapters each month for every fan of Naruto to enjoy. Packed with nostalgia and familiar faces, this is a great way to keep the spirit of Naruto alive while the anime continues its marathon to reach the end line. Of course as Kishimoto is not doing the series himself, this will leave the series open to much criticism from readers. Takuro Tsukumo (a.k.a. Takuan) is a laid back high school boy who loves everyday life. One day after meeting Batsu, the only daughter of King Enma, Takuan becomes a minion under her to help capture the demons of hell together. Capture, expose, and put the evil on trial! Listen to Batsu's orders and protect everyone, Takuan! A bit scary, laughable, and fun—a freaky comical story starts here!! Takuan and Batsu's Daily Demon Diary began in issue 24 of WSJ by newcomer Kentaro Itani. After reading the first chapter I have mixed feelings about the series. There are comical elements but the series also has a darker tone uncommon in WSJ. Its recent rankings show that there is some sort of uncertainty about this series among readers with it being ranked 10 and 11.